Edward Nobles' significant new book, distinguished by its passionate individuality and vision, takes the reader on a harrowing journey along the troubled but enlightening walkways of the self and soul. Whether traveling through the interior opulence of "Twelve Magazines" or the anguished childhood darkness of "A Small Cluster of Stars", poem after poem is suffused with longing, courage, unsettling wit, and transformative power. 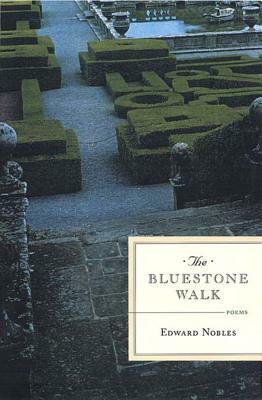 The Bluestone Walk both confirms and extends Noble's growing reputation as "a scrutinizer of the soul's troubles...a daring and accomplished truth-teller" (Rachel Hadas, The Kenyon Review).